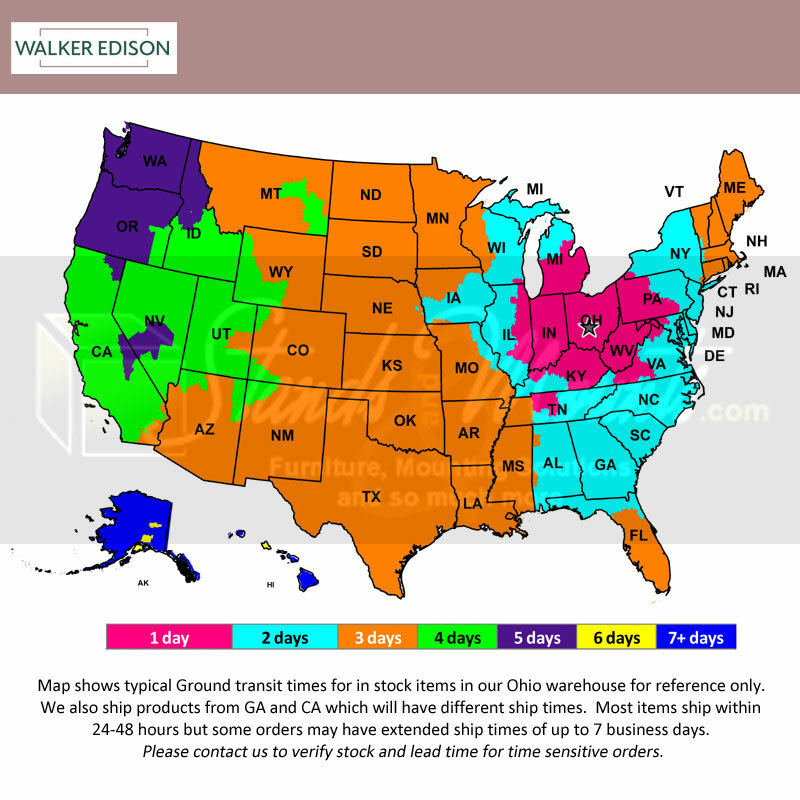 More on the Walker Edison Open Shelf 60 inch TV Stand (White) W58CSPWW below. 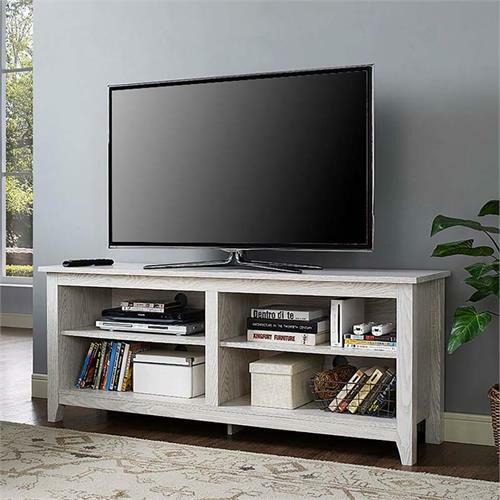 Style and function combine to give this contemporary wood TV stand a striking appearance. The design creates a classy modern look crafted from high-grade MDF and durable laminate. This console accommodates most flat-panel TVs up to 60 inches. 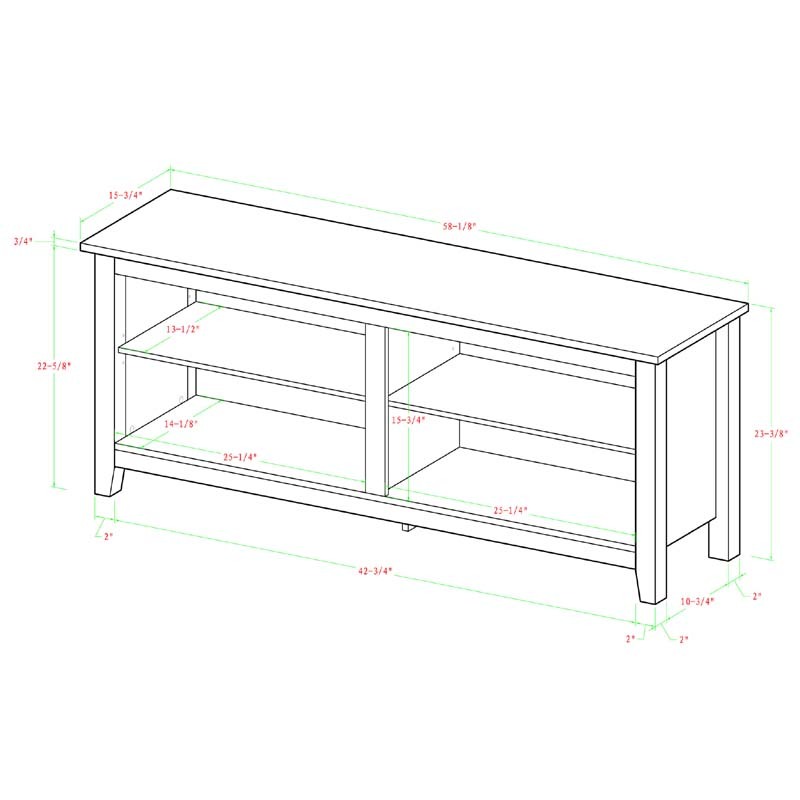 Features adjustable shelving that provides ample space for A/V components and other media accessories.